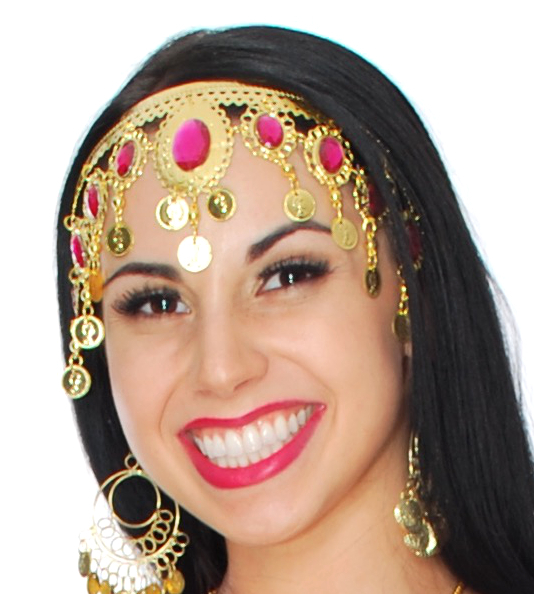 This ornate Arabian style headpiece / headband with beaded swags and faux gems is an easy way to add that perfect finishing touch to your Belly Dance or Halloween costume. One adjustable size. Very happy with my order. Delivered quickly, great prices, and products are made well. Will order from again. Q: What is the headband made out of? A: Hi Peg, Thank you for your inquiry. 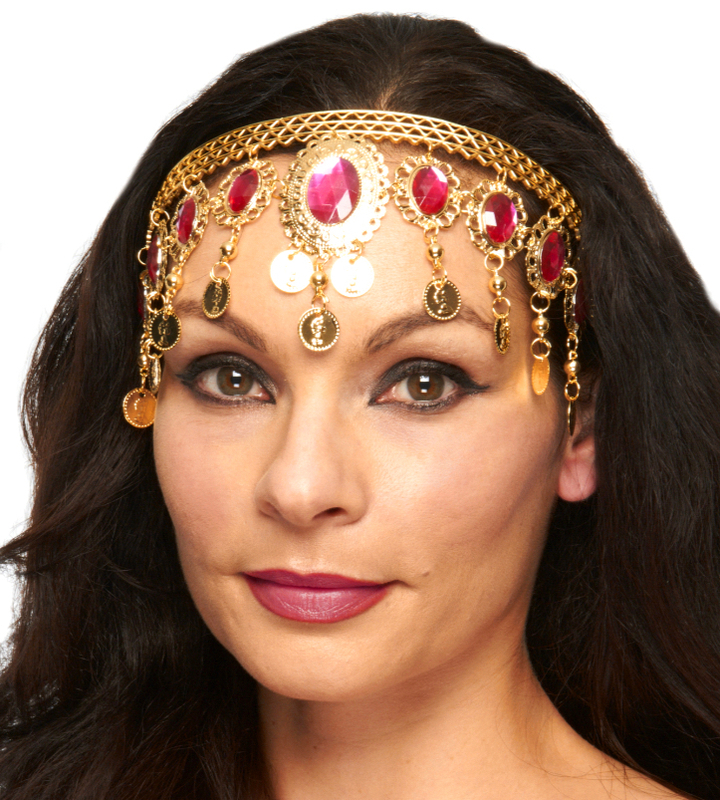 This beautiful headband is made of a metal alloy with resin jewels. I hope this helps.